Hawaii's original volcano adventure past sunset! 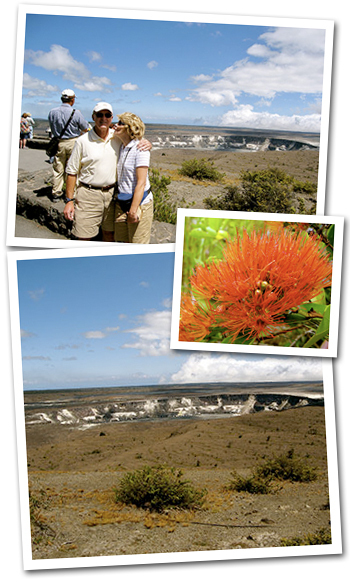 Make Kilauea Volcano and Hawai`i Volcanoes National Park your destination, and stay past sunset! This is a fully narrated adventure that starts in downtown Hilo. Boarding your tour vehicle, the lush greenery of Hilo gives way to stark black basalt lava flows in Kalapana, a village completely destroyed by the advancing lava just a few years ago. First stop will be a walk across the recent lava flows to the newest black sand beach on the island. You will witness how the volcano engulfed everything in its path, even completely filling in Kaimu Bay with molten lava. This walk takes you over what once was the best swimming beach on Hawaii Island. Next stop is the Lava Viewing Area in Kalapana, where your vehicle drives over the lava flows that overran the highway. Look for any current volcanic activity available before heading to the Painted Church. Now decommissioned, it was the first home in Hawaii to Saint Damien before he famously found his calling among the lepers of Molokai. This Church was so important to the determined local villagers that it was moved, not once, but twice, to evade the advancing molten lava flows. 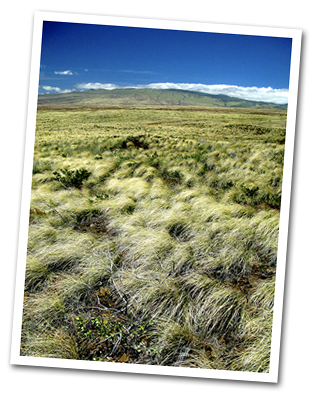 Finally, your trained park ranger guide reveals the highlights of Hawaii Volcanoes National Park, from active volcanic craters and steam vents to the historic Jaggar Museum. Enjoy dinner at Volcano Winery. Guests can expect a private vineyard and tea orchard tour, plus a wine tasting or glass of wine included with dinner at the Winery. Return to the Park and watch for current volcanic activity as the sun sets before returning to Hilo. Red molten lava may not be seen and cannot be guaranteed. Volcanic activity changes constantly and cannot be guaranteed. Comfortable walking shoes required. We’re happy to accommodate special dietary needs and restrictions, including children’s meals, with advanced notice. Order of itinerary may change. 24-hour notice required to cancel tour for full refund. Tour runs rain or shine. What to Expect: Moderate air temperatures at sea level with cooler temperatures at the higher elevations of the Park, occasional rain showers, strenuous hikes across uneven and steep rocky terrain including black lava rock. What to Wear: Comfortable clothes, shorts are fine, light jacket or sweater, sunglasses and hat, comfortable closed-toe shoes (sandals and flip-flops will not be accepted). What Tour Includes: Military-grade LED flashlights, umbrellas, walking sticks, camera tripod to share, mosquito repellant, sunblock, snacks and beverages (water, juice, soda) all day, picnic lunch at the Kona coffee farm and dinner at Volcano Winery (dietary requirements and restrictions accommodated on request with advance notice), all entrance fees and access to private locations. Duration: Approximately 7 hours depending on pick up and drop off locations. Tours Occupancy Requirements: Please be advised that this tour requires a minimum number of participants. The tour can be canceled due to low participation. We will attempt to contact you and give advanced warning to any possible tour changes or cancellations. All tours canceled due to low participation are eligible for a full refund at the time of cancellation. In the event a tour must be canceled, we will try and reschedule you. ***A travel representative will send you a confirmation email along with tour/activity vouchers within 24 hours of booking. If there are any problems with your dates, we will contact you. There are no refunds for cancellations made within 48 hours of tour/activity, unless another cancellation policy is specified. No Shows are charged in full.If you have any questions, please click here to contact us. Mahalo!